The first weekend of the Sundance Film Festival is a look at who's who of Hollywood. We've compiled the top celeb sightings for the kick off of the Sundance Film Festival! The Kia Telluride Supper Suite held a variety of events during the first weekend at the Sundance Film Festival. Kia's first eight-passenger SUV, the Telluride, which will hit showrooms in early 2019, shuttled celebs like: Talent such as Julianne Moore, Tony Hale, Michelle Williams, Awkwafina and more all enjoyed the smooth ride of the Kia vehicles through the snow. From exclusive dinners featuring dishes by Chef du Cuisine Lanny Chin and Executive Chef Joe Zanelli of Greene St. Kitchen of PALMS Casino Resort in Las Vegas, a premiere Clique Hospitality restaurant by Andy Masi (set to open this March) to after parties with the best company possible — there was no shortage of entertainment. XYZ Films, Sony Pictures Classics in celebration of the film Aquarela & Maiden, as well as Blumhouse Productions in celebration of Sweetheart and Relive held private parties at the hot spot. Attendees enjoyed beverages throughout the weekend from: Blue Moon, DragonFly Coffee Roasters, Sensi Tuscany wines, Tequila Comisario, LifeWtr, and more. The night didn't conclude early! 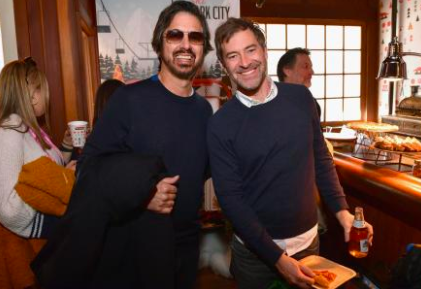 Many celebs attended the Pizza Hut x Legion M Lounge in Park City, UT. Photo Courtesy of Getty Images. During festival weekend, Pizza Hut and Legion M -- the world's first fan-owned entertainment company -- invested in the creators of culture by giving top entertainment industry talent, on and off screen, a place to relax and refuel in the heart of Main Street at the Pizza Hut x Legion M Lounge. Guests spent the day warming up with a hot slice by Pizza Hut while sipping signature cocktails including mulled wine and delightful bloody Mary's. Cinema's elite including Awkwafina, Jada Pinkett Smith, Mindy Kaling, Riley Keough and husband Ben Smith-Petersen, Julianne Moore, Michelle Williams, Malin Åkerman, Tony Hale, Anna Chlumsky, Madisen Beaty, Gabriel Luna, Amy Ryan, Emily Mortimer, Reggie Watts, Billy Crudup, Peter Sarsgaard, Abby Quinn, and more enjoyed slices at the Pizza Hut x Legion M Lounge. Macy Gray and Avril Lavigne perform at ChefDance presented by Shiseido. Photo Credit: Dan Boczarski. ChefDance was the talk of Sundance as one of the leading events of the festival, some of the biggest producers, film makers, digital content creators and celebrities were in attendance. Its always been the hottest ticket of the fest and this year did not disappoint. In collaboration with Sysco & Shiseido, ChefDance presents the “Phenomenal Women Dinner in Entertainment, Technology, and Philanthropy” Saturday evening alongside Sqirl chef Jessica Koslow. Many attended such as; Lala Kent, Avril Lavigne, Maria Bello, Scheana Shay, Adelaide Clemens, Eugenie Grey (YouTuber), Awkwafina, and Michaela Watkins. Guests learned of Shiseido’s newly relaunched makeup collection, and left with a visionary gel lipstick. Guests were entertained with a performance by Macy Gray and Avril Lavigne. Talk about a throwback! 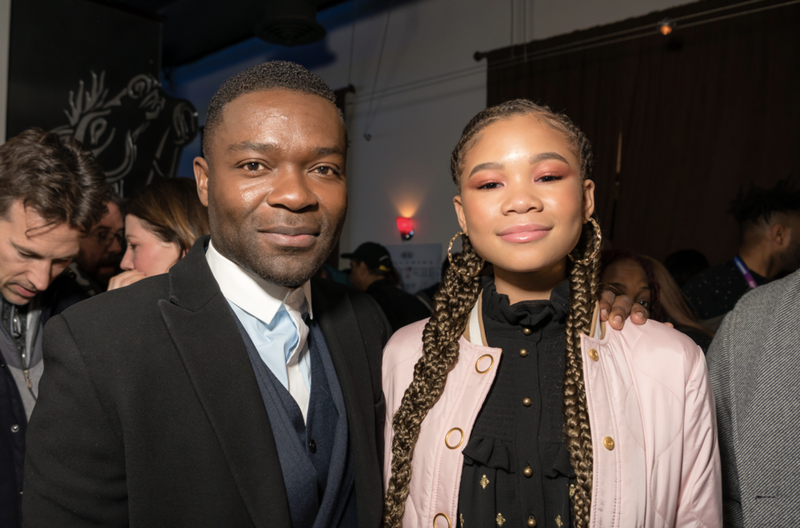 IMDb, the world's most popular and authoritative source for movie, TV and celebrity content, hosted their annual IMDb Studio during the 2019 Sundance Film Festival. Jeff Goldblum, Vince Vaughn, Demi Moore, Lena Headey, Jessica Williams, Tye Sheridan and more sat down for exclusive interviews with host, Kevin Smith. Jessica Williams gushed about how J.K. Rowling slid into her DMs asking her to play a new role in Fantastic Beasts! Jeff Goldblum then shared some advice on how to make it in the movie business while Ed Helms admitted to calling Bear Grylls to help him with his role in Corporate Animals. Later on, Vince Vaughn reminisced on the moment when Sundance rejected the film Swingers and talk about the old days with Kevin Smith! 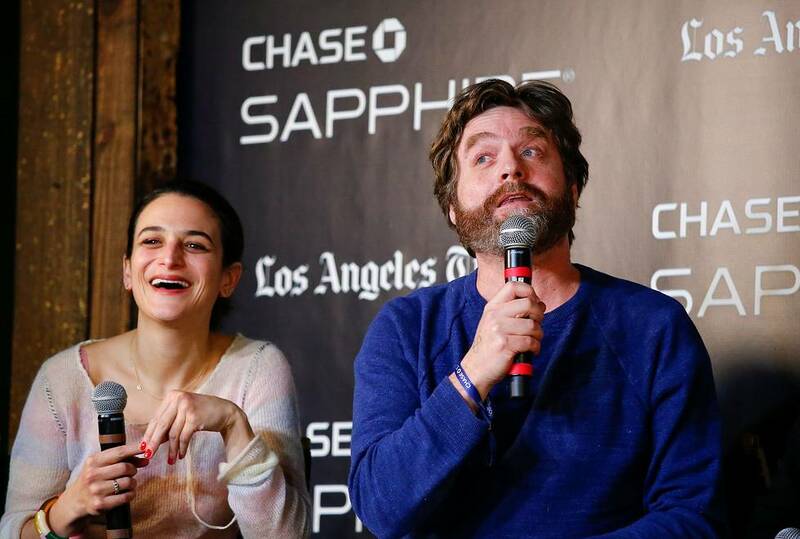 Chase Sapphire on Main served as the hub hosted some of today’s most talked about stars – such as: Jenny Slate, Zach Galifianakis, Demi Moore, Lupita Nyong'o, Jeff Goldblum, John Lithgow and more stopped by the media hub to discuss their respective projects showcasing at the festival. Jenny Slate, who stars in The Sunlit Night, and how it has been a turning point in her career thus far. "I think this movie grew me up," actress and comedian Jenny Slate says of "The Sunlit Night" at the L.A. Times Studio at Chase Sapphire on Main. The star-studded events at the Chase Sapphire on Main has included the cast, directors and producers of the film celebrating their work among Chase Sapphire cardholders and other festivalgoers. This year celebrated the 15th Anniversary of the annual Music Lodge, which has been one of the longest running celebrity invitation-only venues held during the Sundance Film Festival in Park City, Utah. The Salesforce Music Lodge served as host to the Associated Press Festival Headquarters for its 12th year at the Music Lodge, with a constant flow of high-profile celebrities stopping by for TV interviews, photo shoots and film cast portraits. After being so warmly received by Music Lodge guests last year, dōTERRA, the world leader in essential oils, returned this year to gift special wellness packages. Also gifting in the health and beauty category is QYKSonic, maker of beauty devices that simplify skincare, including the ZOE™ collection. Cameo is a digital marketplace that lets fans book personalized video shoutouts from their favorite people. And New Orleans based KREWE Sunglasses handed out small batch designer shades to special VIP recipients. The event came with a twist and paid homage to the city and culture of New Orleans by serving rich culinary staples and bringing a little flavor to Park City! Celebs such as: Daniel Radcliffe, Mindy Kaling, Octavia Spencer, Hilary Swank, Jenny Slate, and more came to support the event. On Sunday evening, Vulture wrapped weekend one of the festival by co-hosting IFC’s Documentary Now! Afterparty. IFC’s Documentary Now! screened two new episodes, “Waiting for the Artist” and “Original Cast Album: Co-op,” at the 2019 Sundance Film Festival. Guests in attendance included: Fred Armisen, Jim Gaffigan, Paula Pell, Renee Elise Goldbery, Sam Richardson and more.